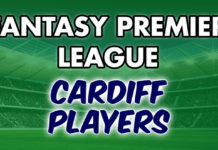 Our penultimate preview for the 2018/19 Fantasy Premier League season! Here is our FPL West Ham preview. Firstly we look at West Ham’s league performance from last season. 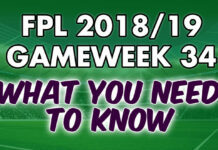 We then look at West Ham’s new signings and discuss whether any of them are worthwhile FPL picks. Following that we’ll discuss the rest of West Ham’s squad. To finish we look at West Ham’s fixtures to begin the Premier League season. 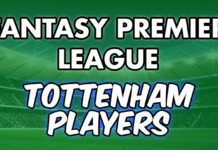 Team news (predicted lineups) will be available very soon and when it is you’ll be able to find it here: FPL Team News. West Ham finished the 2017/18 season in 13th place, down two places from the 2016/17 season. Their 24 goals away from home was surprisingly the 7th best in the Premier League. Despite this their home form was comparatively better than their away form. This was due to the goals West Ham conceded away from home – the most in the Premier League. This resulted in West Ham’s away games averaging 3.47 goals a game. There’s little doubt Manuel Pellegrini will have noted this ahead of this season. West Ham and Pellegrini have been busy in the transfer window. Their lineup in Gameweek1 could look very different Gameweek 38 last season. The former Swansea looks like he’ll be put straight into the West Ham starting 11. He is currently the 3rd most picked goalkeeper and understandably so. Lukasz Fabianski’s 137 saves last season was only bested by Ryan Butland with 144. He also scored the 3rd most points for a goalkeeper, only finishing behind David De Gea and Ederson. If West Ham are able to tighten their defence then Fabianski at £4.5m is a good pick. Out of the new defenders Issa Diop looks the most promising for Fantasy Premier League. His goal record is by no means impressive (5 in 77) but it is superior to fellow new signings Ryan Fredericks and Fabian Balbuena. More importantly though his reported £21.9m transfer fee suggests he will be starting. It should noted Diop only started 3 of West Ham’s 7 friendlies in pre-season though. Due to a combination of West Ham’s fixtures, average goal record and uncertainty around him starting we’d leave Diop out of your FPL team. The Brazilian signed from Lazio for a reported £35m which should theoretically leave little doubt about him starting. Over the last four seasons Felipe Anderson has scored 25 goals in 124 league appearances. Perhaps more to the point though is Anderson’s more recent goal record. His four goals from 21 appearances last season may dampen FPL manager’s interest in him. However, more than half of these appearances were from the bench and he did also provide 7 assists. He is picked by 4.6% of FPL managers. The Ukrainian is a far less popular pick (1.8%) than Anderson. This could partly be down to a minor injury Fantasy Premier League have him flagged for though. Andriy Yarmolenko has a very good goal record from his time at Dynamo Kyiv. The league might not be as competitive as a lot of the western European leagues but nonetheless his 99 goals in 228 league appearances there is impressive. His three goals in 18 league appearances for Dortmund last season might cause some FPL managers to think twice about him though. 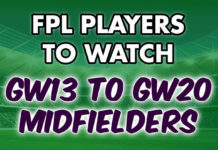 FPL managers are well aware of the attacking points Aaron Cresswell can score. Other than a blip last season, Cresswell has provided at least four assists in each of his four Premier League seasons. His 7 assists from last season was only equaled by defenders Ben Davies and Kieran Trippier. He’s a nice option to have but at £5.5m he’s a costly one. If West Ham can stay clear of their defensive record of last season then he might be worth it. Even with that said though we’re not going to take the risk at that price. To the surprise of nobody Marko Arnautovic is by far West Ham’s most picked player. 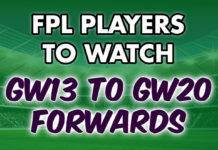 He has been justifiably changed from a midfield to a forward in this season’s Fantasy Premier League. On top of his good return of 11 goals and 7 assists, the Austrian can also boast that in terms of points per £m he is the best value forward. Javier Hernandez and a fit Andy Carroll might provide some starting competition but with his performances last season there’s little doubt he’s a certain starter. If not for West Ham’s difficult fixtures to start the season his pick percentage could be even higher. Other than Newcastle, the Hammers can argue they have been given the toughest start to the Premier League season. Over the first 10 Gameweeks West Ham might have the worst fixture set. Their only real respite over these 10 Gameweeks comes in the form of Bournemouth (H) and Wolves (H) in Gameweeks 2 and 4 respectively. 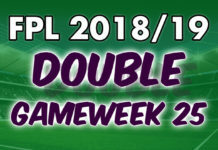 Gameweeks 1 and 3 is far less kind as they play both Arsenal and Liverpool away. Three more top 6 teams await in the subsequent 6 Gameweeks with three away fixtures filling in the gaps.